OwnFone the innovative mobile phone creation company that allows you to create your very own mobile phones juts the way you need them, has taken to Kickstarter to help make the leap worldwide. Originally launched in the UK, OwnFone has a UK customers base and provides custom mobile phone solutions for any age group and is now hoping to take their idea to a global scale. 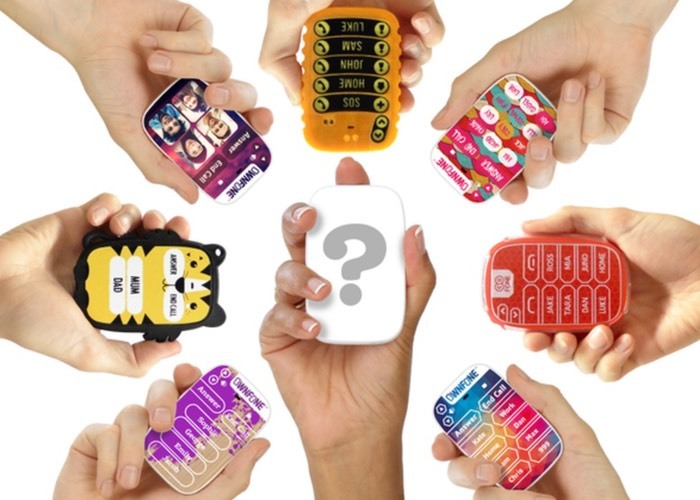 “OwnFone is the world’s first 2D/3D printed mobile phone that calls the numbers you need. It’s small, light and infinitely customizable! Using it couldn’t be simpler! There’s no screen, text or internet. Simply press a Word or Image button to make a call. You can have 3D buttons too.. like Braille and Raised Text. You can even draw your own buttons! OwnFone can be printed with up to twenty two Word, Image or 3D buttons or a full numerical keypad. The call buttons are pre-programmed to call the telephone numbers that you want on your phone. You can receive calls too. For more information on the new OwnFone Kickstarter project jump over to the Kickstarter website for details via the link below.